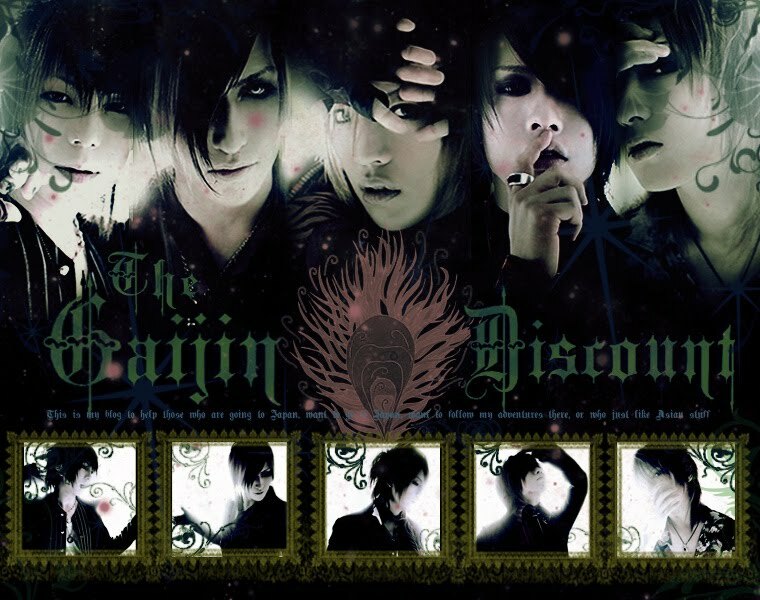 The Gaijin Discount: Trains and People Everywhere!! Today's word of the day: Eki (pronounced eh-ki) n. (駅) meaning station (as in train station). Well, I managed the train system today with the caring guidance of my host parents. I did not have the experience of having to figure out my fare and what not, because we went ahead and just bought a Pasmo card. 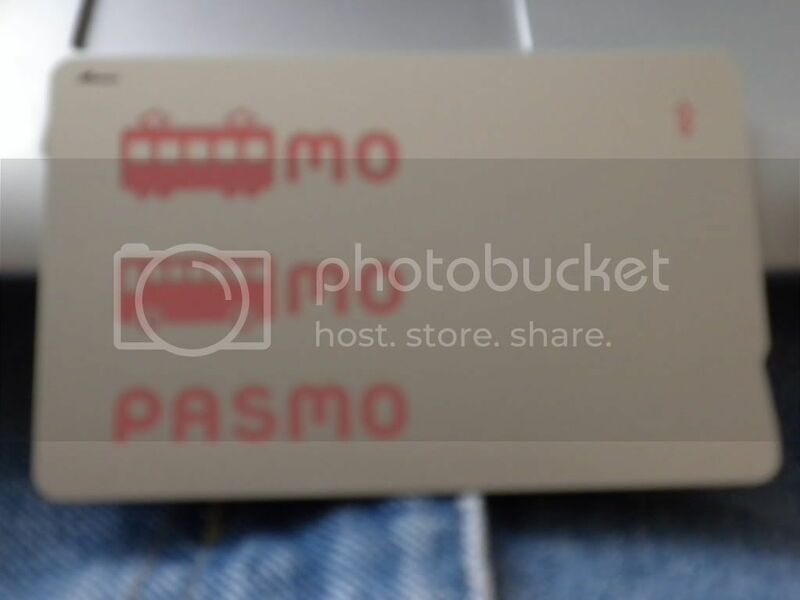 Pasmo is a rechargeable card that you buy at the ticket purchasing machines (also works on buses and in some stores as cash). I don't know about the other stations, but at the Ikejiri Ohashi, there is an English button you can press to proceed through purchasing it. There is a $5 fee when you buy the card, which I believe you can get back if you turn the card back in to some desk at a later date. The card has various amounts you can charge onto it, and it is in fact rechargeable. From what I saw today, about 95% of the people use these rather than the regular ticket, and often just keep them in their wallet or datebook and place that on the sensor. With a regular ticket, you stick it in the slot, but with the Pasmo (or the Suica, which is basically the same thing), there is a sensor on the turnstyles and you just slide your card over that. You slide your card both on the way in and on the way out of the station to allow the machines to calculate your fee from how far you went. The trains were a bit confusing, and where I am has express trains as well as the regular train, which is different, and to switch lines there's numerous escalators and walkways and millions of people, but I can see that, with time, I'll figure it out easily enough. If tourists can do it, so can I. When we got on the train to go to Shibuya station (one of the major stations), the lovely men with white gloves were waiting, lest they need to help pack people into the train cars. And they were dangerously close to needing to. In America, if a train was that packed, no one would attempt to get on, but we managed somehow. At Shibuya we switched to the JR line's Yamamote Line, which was somewhat less crowded, and had the added bonus of making all their announcements in both Japanese and English, as well as having digital screens with both telling you where you're going. Today we went to Ebisu/Ebisu Garden Place. From the exit, all we had to do was cross the street to enter the area and immediately on the left was the famous statue from the Hana Yori Dango series. Being an absolute retard, I of course forgot to put the card back in my camera and don't have the cord, so the pictures I took today will remain a secret to you, and for that, I'm sorry. It was, in a word though, amazing. Ebisu is a very rich looking area with snazzy shops smacking with European influence and design. There was an Armani jeans store, a McCafe without the McDonalds, and a towering, three story Chateau looking structure in the distance that I'm told is a VERY expensive restaurant. I believe it. Once you go down the walkway to the middle circle (where at Xmas they have a large Xmas tree), to your right is the Ebisu Garden building, and to your right, through a walkway is the Yebisu beer museum. We went to both. The beer museum was interesting, especially if you're a beer fan, and though they have a brochure in English, all the writing and video is in Japanese. At the end of the journey, there is a vending machine where you choose a Yebisu/Sapporo beer type you'd like to try, pay for it and recieve a ticket which you give to the man over at a bar to your left. The tower is huge and I honestly have no clue what's inside it except for that there are restaurants on the 39th floor, as well as windows where you can overlook the entire city. Of course I took unviewable pictures of that too. These restaurants are fancy and expensive, but they weren't open when we went, so I didn't get a peek inside. After that, we went back onto the train (less crowded this time), and got off at Shibuya, crossing that famously congested crosswalk and entering the 109 building, which is a famous fashion building packed with stores. It was like the mother of all malls. And on the bottom floor to the right is a store that sells some overseas goods like Pringles and American candybars and things, so if you're hankering for something from home, this is perfect for you. So, that concludes the festivities for now, and I'll bring you more of the story as it happens!